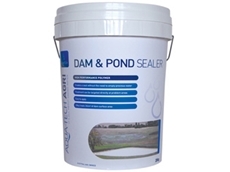 Triox Dam and Pond Sealant is made with absorbent polymers to plug leaking ponds and dams. Base in Thomastown, Victoria, Gee washer Co Reservoir provides a wide range of seals oil and mechanical services. 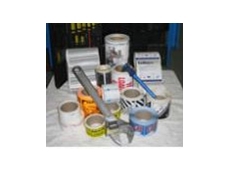 25/07/11 - Aser Labels manufactures and prints large-volume industrial labels for a variety of uses, including agricultural purposes. 18/08/10 - Manutec has completed testing on new quad lip seal and seal covers for its 15 inch and 18 inch Integral Press Wheels. 02/07/10 - Used in JC Hydraulics' Miniram Hydraulic Cylinder, the Hallite 605 asymmetric rod seal offers superior dry rod sealing for light and medium duty applications. 22/04/10 - Verderflex industrial peristaltic hose pumps from All Pumps Supplies are a family of high quality Peristaltic Hose Pumps. 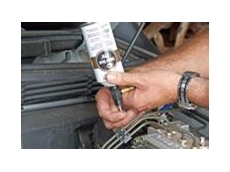 16/12/08 - With plunging prices for used vehicles and spiralling fuel prices, many owners are reluctant to spend much to fix sneaky leaks in air conditioning systems that sap performance and release environmentally harmful refrigerants into the atmosphere. 14/07/08 - M and W Marine Servicing specialises in servicing and wrecking outboard engines. M and W Marine Servicing was established in the year 1977. The engines of trailerable boats and other marine equipment are serviced by M and W Marine Servicing.